I’m hoping to get a bunch of trick-or-treaters this year. In years past, this hasn’t been the case. 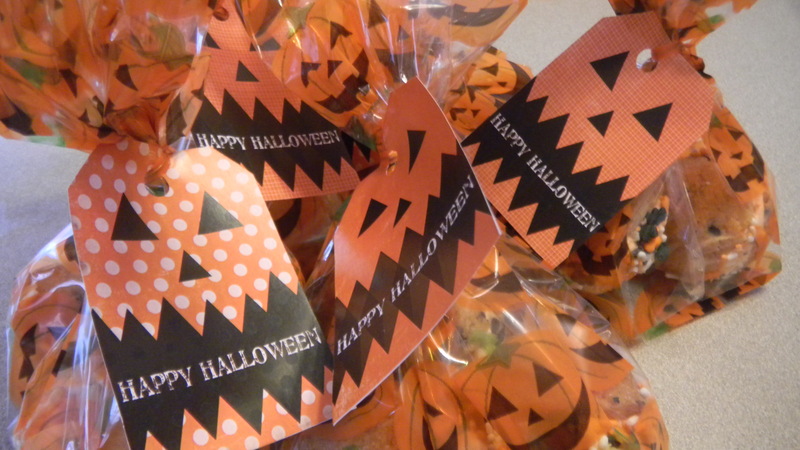 For the five little munchkins I know and love, I made them some special Halloween treats stuffed into a loot bag, as the package called them. 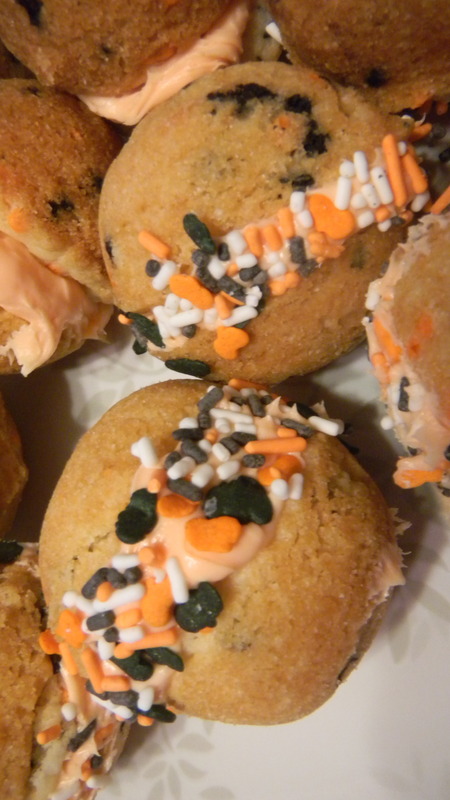 Usually, I get lazy and make the Halloween funfetti cupcakes from a mix, topped with orange from a can frosting. 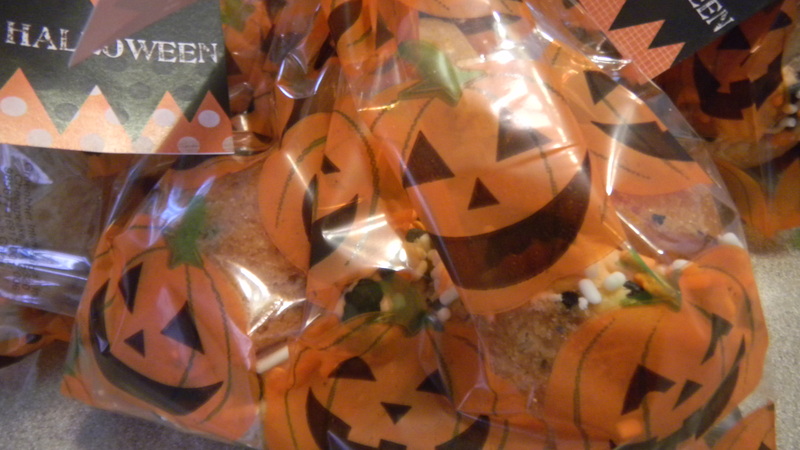 Sometimes, I’m even lazier than that and I buy those Halloween print place and bake sugar cookies. Wouldn’t you know, the kids love those! But this year, I wanted to do something a little different. Yep, I still used the Halloween funfetti cake mix, but I went rogue and decided to make cookies from it. Did you know you can do that? I’ll admit, my husband had them somewhere once and since then, has been begging me to make some. It isn’t too difficult, and the prep is pretty much the same, give or take a couple ingredients. It tells you how to make cookies right on the box. I had been pretty sure I was going to make cookies, until I found the perfect cookie pan, and then I was sold. 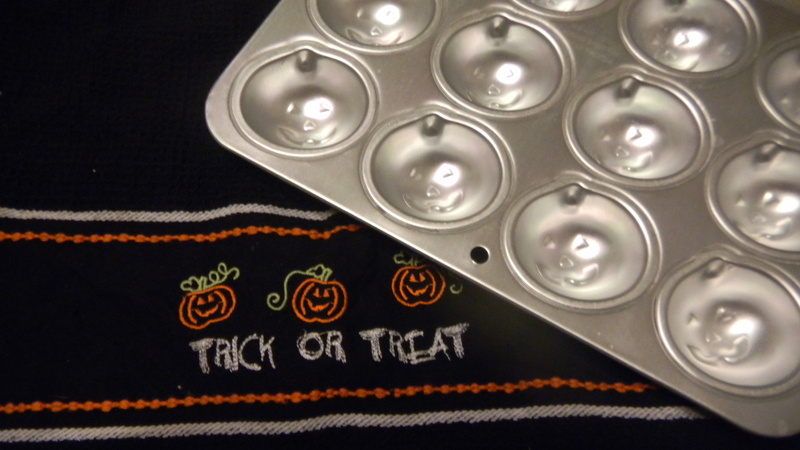 While at a local thrift store last week, picking up some items for Dan’s costume (he was Prince William by the way, and no, I didn’t dress up as Kate), I found these adorable baking pans. Only $0.90/pan! I love the thrift store. I had always intended on frosting the cookies with the orange frosting, but I was a little concerned that the frosting would stick to the goodie bags and make a big old mess. The can type of frosting doesn’t harden. Then, I had the idea to make the cookies into cookie sandwiches. One cookie on each side, frosting in the middle, and sprinkles along the frosting sides to avoid the frosting coming into direct contact with the bag. I had a minor technical issue in that the cookies didn’t take on the jack o’ lantern face that’s on the pan, but it worked out. They just looked like cookie balls instead of pumpkins. What do you think? I think they’re pretty festive, and not your average Halloween funfetti cake.